A fact (derived from the Latin factum) is something that has really occurred or is actually the case. The usual test for a statement of fact is verifiability, that is whether it can be proven to correspond to experience. Published posthumously, probably written circa 1794. After all, facts are facts, and although we may quote one to another with a chuckle the words of the Wise Statesman, "Lies — damned lies — and statistics," still there are some easy figures the simplest must understand, and the astutest cannot wriggle out of. So we may be led to the serious consideration of change by the evolution of materials of conviction which those who run may read, though some who read may wish to run away from them. Thomas Henry Huxley, letter to Charles Kingsley (September 23, 1860); reported in Leonard Huxley, Life and Letters of Thomas Henry Huxley (1900, reprinted 1979), vol. 1, p. 235. Herbert Spencer, First Principles (1862): Pt. I, The Unknowable; Ch. I, Religion and Science. Author unknown, "On Having Known a Poet", The Atlantic Monthly (May 1906), p. 712; attributed to frequent contributor Bliss Carman in Bruce Bohle, ed., The Home Book of American Quotations (1967), p. 90. Never assume that any fact is useless until it is so proven. James Blish, Midsummer Century (1972), Chapter 9. Originally published in The Magazine of Fantasy and Science Fiction (April 1972). The value of a college education is not the learning of many facts, but the training of the mind to think. Albert Einstein (1949) Autobiographical Notes. Facts are constituted by older ideologies, and a clash between facts and theories may be proof of progress. Scientific "facts" are taught at a very early age and in the very same manner in which religious "facts" were taught only a century ago. There is no attempt to waken the critical abilities of the pupil so that he may be able to see things in perspective. At the universities the situation is even worse, for indoctrination is here carried out in a much more systematic manner. Criticism is not entirely absent. Society, for example, and its institutions, are criticised most severely and often most unfairly... But science is excepted from the criticism. In society at large the judgment of the scientist is received with the same reverence as the judgement of bishops and cardinals was accepted not too long ago. The move towards "demythologization," for example, is largely motivated by the wish to avoid any clash between Christianity and scientific ideas. If such a clash occurs, then science is certainly right and Christianity wrong. Pursue this investigation further and you will see that science has now become as oppressive as the ideologies it had once to fight. Do not be misled by the fact that today hardly anyone gets killed for joining a scientific heresy. This has nothing to do with science. It has something to do with the general quality of our civilization. Heretics in science are still made to suffer from the most severe sanctions this relatively tolerant civilization has to offer. Knowledge is a collection of facts. Wisdom is the use of knowledge. Without facts there is no knowledge. Without knowledge there is no wisdom. Facts prevent what nothing can cure. Facts are Man's best defense mechanism. Without them men fumble, falter and fail. Without them nations decline and fall. Wisdom wins wars before they start. Knowledge aborts national hostilities. Wisdom obviates racial antipathies. Knowledge effaces religious animosities. Emancipation from bigotry prefaces peace. Intolerance takes all and gives nothing. Peace rewards reciprocal respect and regard. To all Men of Good Will, "Pax Vobiscum!" 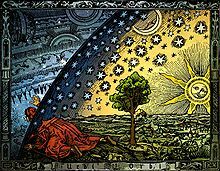 The facts of nature are what they are, but we can only view them through the spectacles of our mind. Stephen Jay Gould (1986) "Glow, Big Glowworm", in: Natural History 95 (12): 10-16. Charles Evans Hughes, "Important Work of Uncle Sam's Lawyers", American Bar Association Journal (April 1931), p. 238, reprinting an address to the Federal Bar Association, Washington, D.C. (February 11, 1931), where the chief justice spoke of the "extraordinary development of administrative agencies of the government and of the lawyer's part in making them work satisfactorily and also in protecting the public against bureaucratic excesses", according to the article's subtitle. Where theory lags behind the facts, we are dealing with miserable degenerating research programmes." The subversive character of truth inflicts upon thought an imperative quality. Logic centers on judgments which are, as demonstrative propositions, imperatives, — the predicative “is” implies an “ought.” … Verification of the proposition involves a process in fact as well as in thought: (S) must become that which it is. The categorical statement thus turns into a categorical imperative; it does not state a fact but the necessity to bring about a fact. For example, it could be read as follows: man is not (in fact) free, endowed with inalienable rights, etc., but he ought to be. William C. Redfield, secretary of commerce, address at Case School, Cleveland, Ohio (May 27, 1915); reported in Ashley H. Thorndike, Modern Eloquence (1936), vol. 7, p. 392. Historical facts, many of them, have an intrinsic value, a profound interest on their own account, which makes them worthy of study, quite apart from any possibility of linking them together by means of causal laws. When you are studying any matter, or considering any philosophy, ask yourself only: What are the facts, and what is the truth that the facts bear out. Never let yourself be diverted, either by what you wish to believe, or what you think could have beneficent social effects if it were believed; but look only and solely at what are the facts. 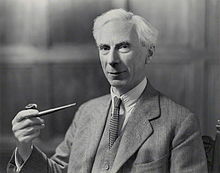 Bertrand Russell (1959) in a BBC interview on "Face to Face"
Facts do not "speak for themselves." They speak for or against competing theories. Facts divorced from theory or visions are mere isolated curiosities. We can define a fact as an observation backed up by such a preponderance of evidence that no useful purpose would be served by doubting it. One assault on the world of facts was launched some time ago from the direction of the theory of knowledge. This campaign was primarily waged by those who aimed to discredit the empiricist belief that our world consists of sense data capable of being directly perceived and uncontentiously described. It would not be too much to say that by now this particular dogma of empiricism has fallen into very general disrepute. Scarcely anyone nowadays believes in the possibility of building up structures of factual knowledge on foundations purporting to be wholly independent of our judgements. Besides being assailed by epistemologists, the world of facts has been undermined in recent times by developments within the theory of meaning. The cardinal assumption of positivistic philosophies of language was that all meaningful statements must refer to facts, and thus that the meanings of sentences must be given by the method of verifying the assertions contained in them.